How could I route my SSH traffic through shadowsocks? I am connecting from behind the Great Fire Wall to a server using shadowsocks. I would like to make outgoing SSH connections but I am concerned that SSH traffic could be identified and so result in my connection getting shutdown. Hence, I would like to be able to route the SSH traffic through the SOCKS5 proxy that I already have working. Where do I start to achieve this? I assume I need to create a virtual network adaptor that can present a range of ports from which the output is routed over the SOCKS5 proxy somehow? Add this script to your ~/.bash_profile. Match Exec "nc -z 127.0.0.1 1086"
This directive will execute every time you ssh (Matches everything). First it tries to connect to your shadowsocks proxy using nc: the -z option just means to check the port with no IO. 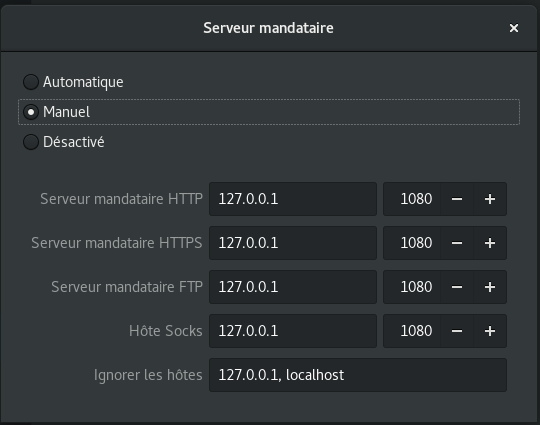 My ssocks proxy runs on port 1086. If it's running, then set a ProxyCommand, if it doesn't, don't, and connect normally, without a proxy. Not the answer you're looking for? Browse other questions tagged ssh shadowsocks or ask your own question.